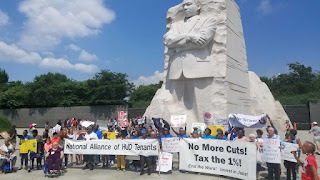 Earlier this month we had the opportunity to travel to Washington DC with tenant leaders from the Housing Justice League for the National Alliance of HUD Tenants(NAHT) national convention. This has been our fourth year attending the conference which is a gathering of HUD tenant leaders from around the country along with tenant/community organizers and representatives from ally organizations. The conference is an excellent opportunity for tenants to share and develop strategies to preserve, improve, and expand affordable housing in their complexes and communities. Here in Atlanta we've learned so much over the years from the amazing HUD tenants that helped form NAHT, several of them have organized such strong tenant associations that they have actually collectively negotiated negotiated with complex owners to purchase the building they live in. 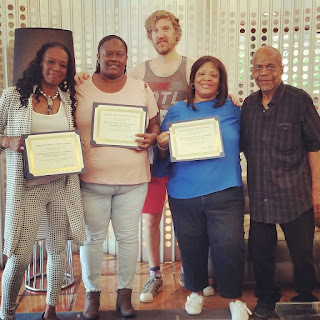 This years was year was a highlight for us as both Housing Justice League and American Friends Service Committee received awards in recognition of our victories over the last year. 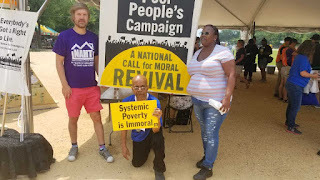 This years was also special because we had the opportunity to join the Poor Peoples Campaign for their day of action. 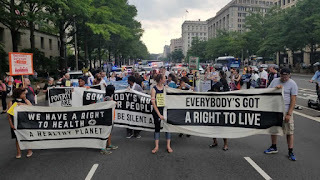 Many of us marched to HUD and witnessed over a dozen committed faith and community leaders block the doors of HUD's office demanding better living conditions and more peopled centered policies. It was truly inspiring to be surrounded by so many people with such deep commitment to real economic justice. 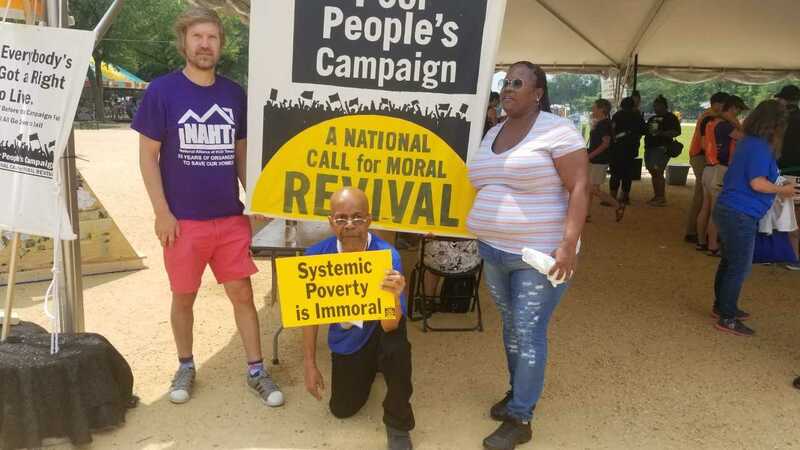 The following day NAHT held a rally against Trump's proposed HUD cuts on the steps of the MLK memorial statue. If passed Trump's HUD budget would include deep cuts and much stricter work requirements. The cut's impact would put over 5k Georgia families at risk or homelessness and rent hikes that would be difficult to survive for those on fixed income. From there we went to visit congressional members and lobbied against the proposed cuts before saying our goodbyes and heading back to Atlanta. Conferences like NAHT are important. They give us the opportunity to compare notes, inspire and be inspired by each other, to celebrate our work, explore how to more effectively, and leave with our imaginations on fire! Big thanks to all who contributed to Housing Justice Leagues tenant training crowd source fundraiser as it helped cover the cost of three tenant leaders attending the conference!